Francois and Antoine Emile Mouton own the property La Maison Mouton which was inherited by Mrs. C.E. Hamilton, dit « Tante Ruth » Mouton. M. Johnson originaire d'Eunice fait de la boucane depuis 1945. 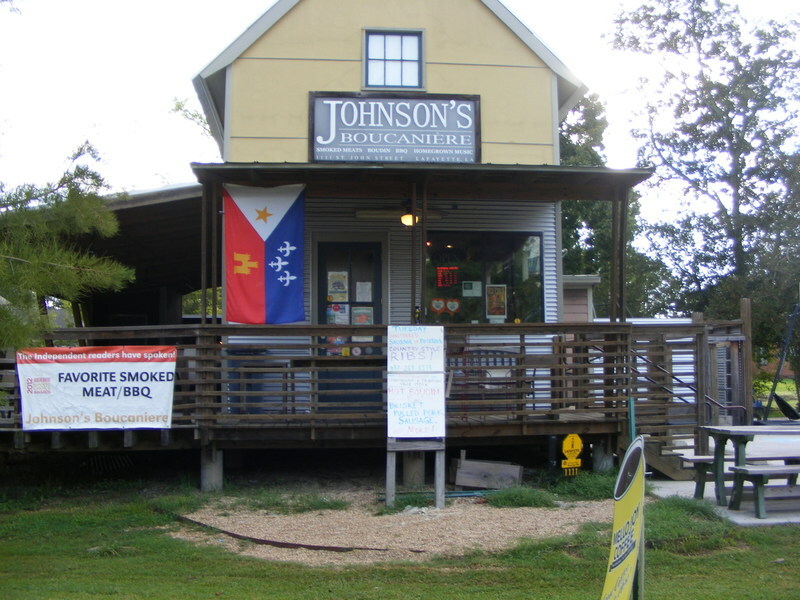 / Mr Johnson originally from Eunice smoke food since 1945. Francois and Antoine Emile Mouton owned La Maison Mouton which was located on Bayou Carencro. As the daughter of Judge Orther Mouton, Mrs. C.E. Hamilton, dit « Tante Ruth » Mouton or Aunt Ruth inherited and moved the old “Mouton House” from Bayou Carencro in the early 1900 to her father’s estate; Judge Mouton. They are related to the founder of Lafayette. Judge Orther Mouton is the great grandson of Jean Mouton. The 1800 Mouton House is now part of Vermilionville Historical Site across from the Lafayette Airport. The historical interpretative center is opened every day except Mondays. This California Style Bungalow now called the Mouton-Hamilton was the house of Dr. Hamilton. Dr Hamilton was a veteran of the British Expeditionary Corp in WWI and was wounded in battle. Having received his first medical degree after the Great War in Montpellier, France, Dr. Hamilton was bilingual and he received other medical degrees from the University of Edinburg and Harvard Medical School. Dr Hamilton delivered thousands of babies in the Lafayette community and is remembered as a founding member of the Hamilton Medical Group. He married Marie Ruth Mouton in 1920. In her early teens, Ruth was known as “Tante Ruth” or “La Reine des Acadiens”. When they moved to Lafayette, they moved in with Judge Mouton, widower by then. They renovated her father’s house to what it is now. 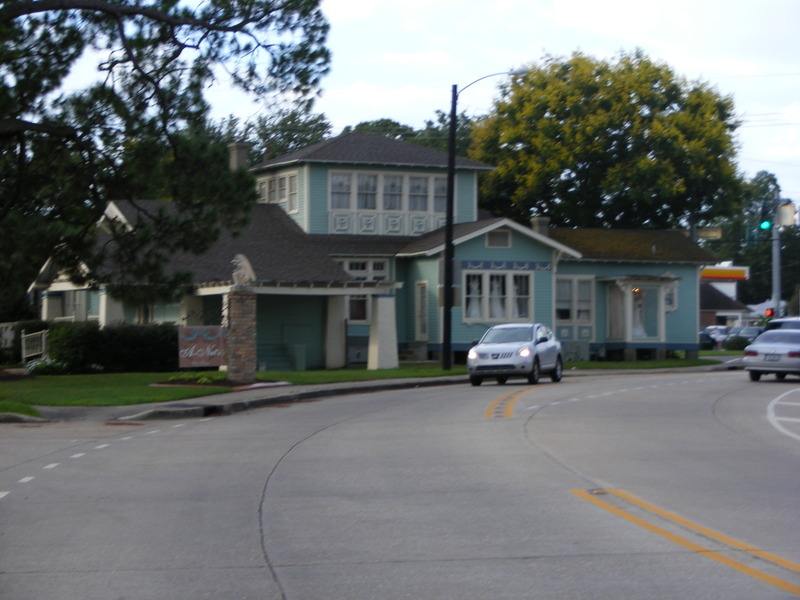 Across University Avenue can be seen present-day Lafayette City Hall and the Lafayette Consolidate Parish Government, housed in what was formerly a Sear’s store.